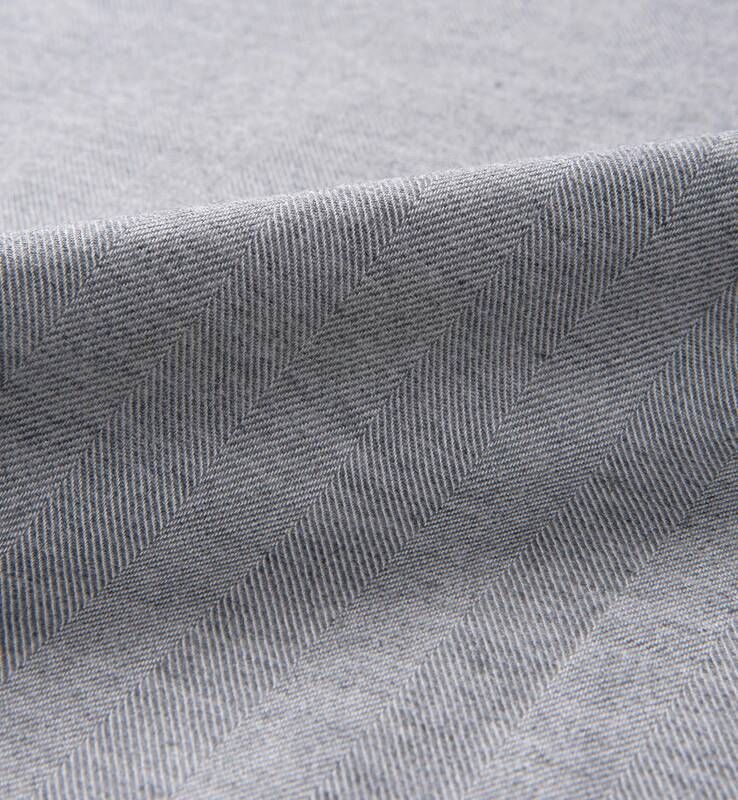 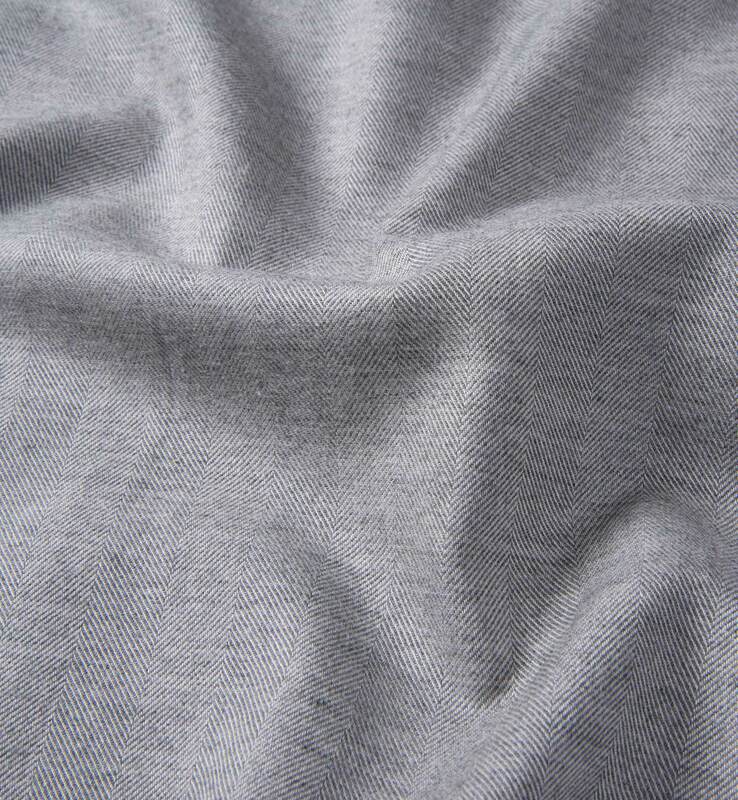 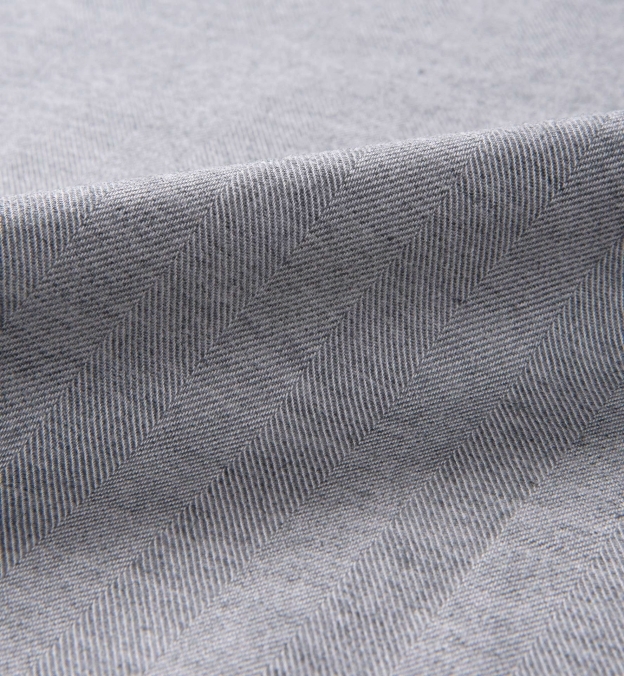 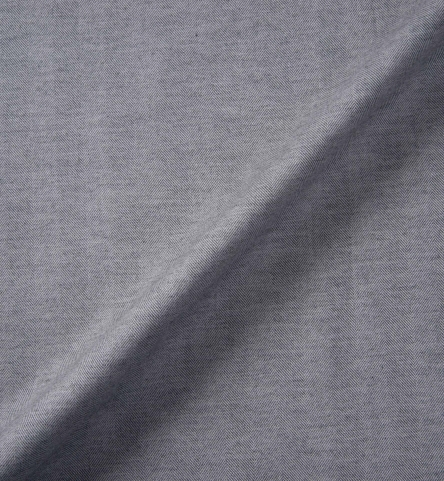 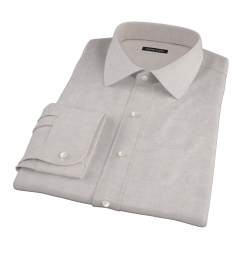 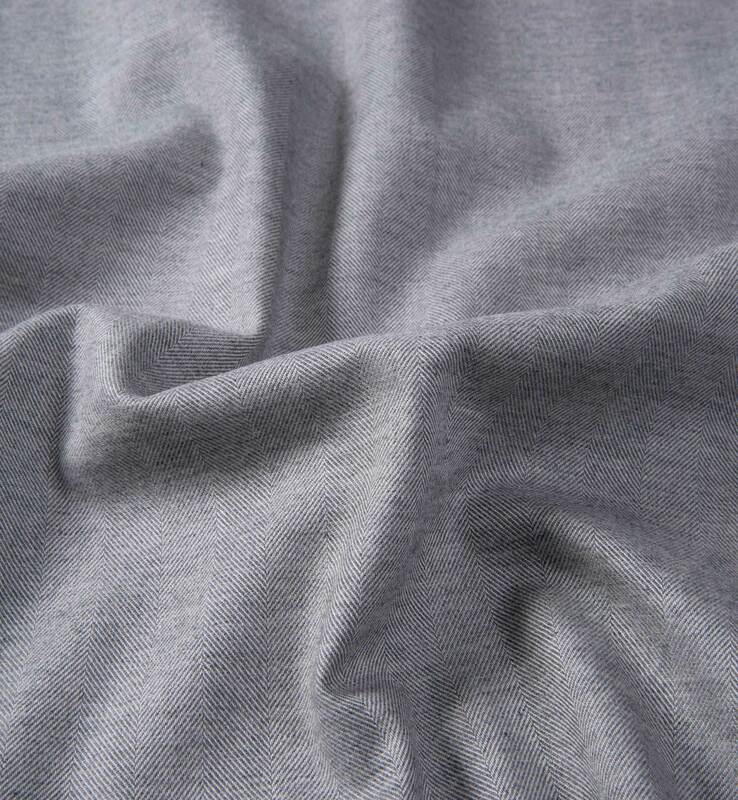 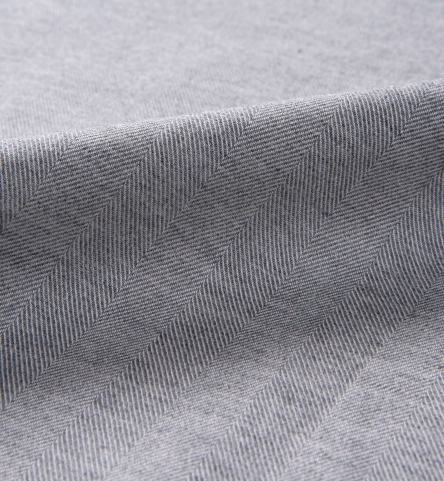 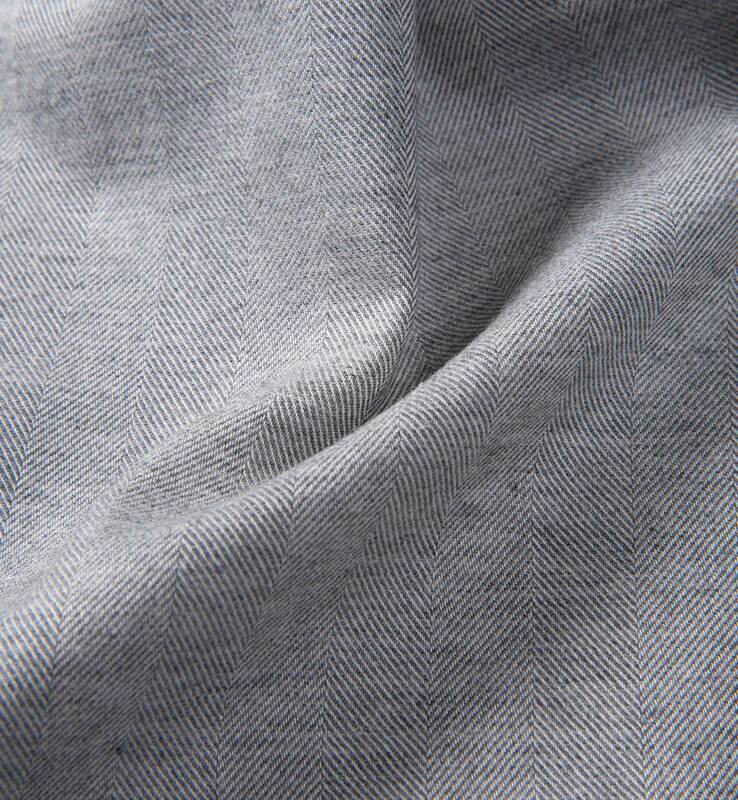 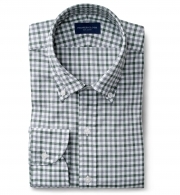 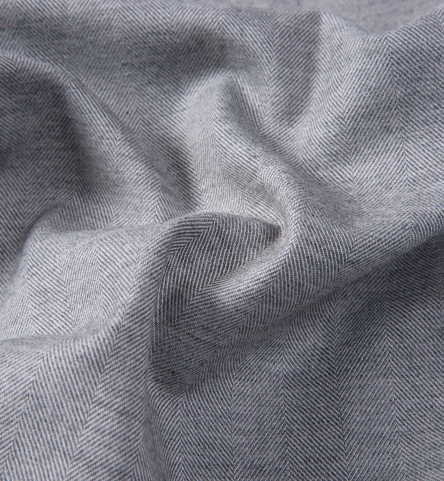 An incredibly soft mid-grey herringbone flannel. It's a lightweight flannel that can be layered up really easily. 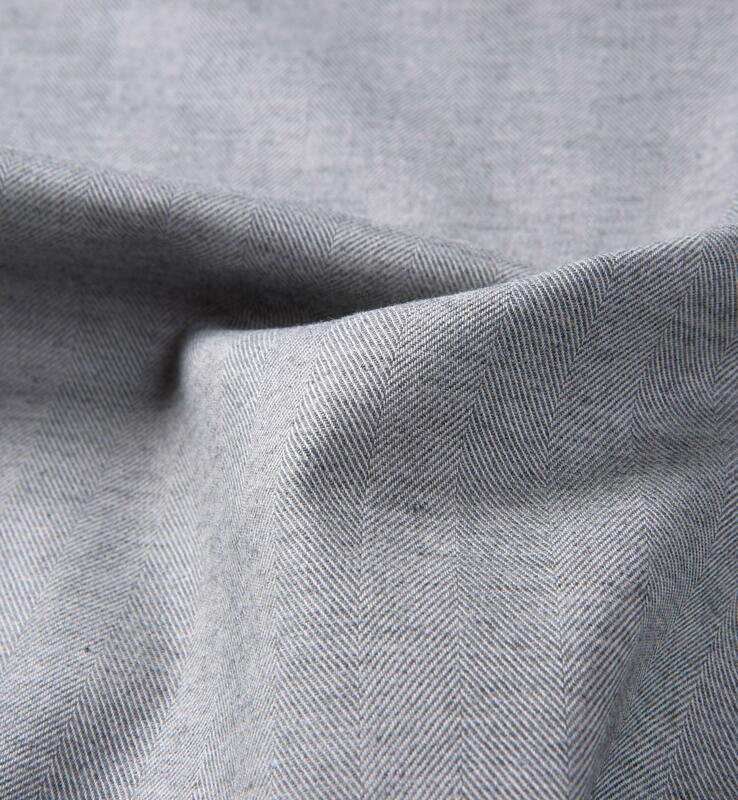 The melange coloring gives you different shades of grey throughout, so the fabric only gets more interesting the closer you view it. 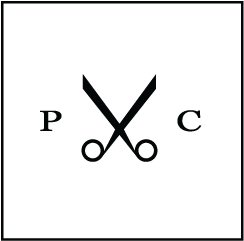 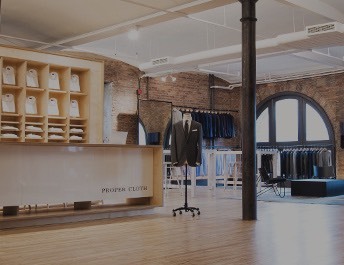 You'll definitely want to go for a soft collar and cuffs on this one!